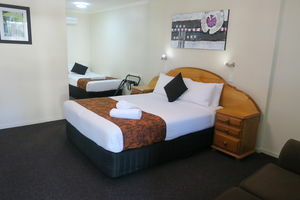 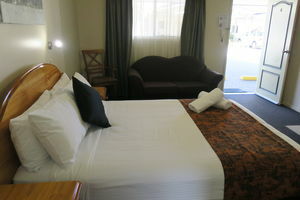 This room features a comfortable Queen and single bed. 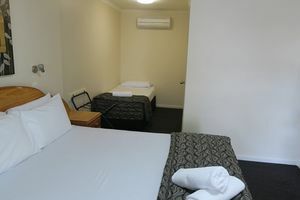 Ideal for 2 or 3 people. 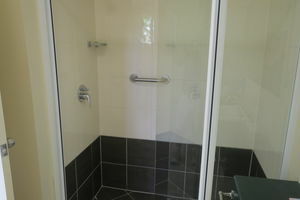 There is plenty of hanging space, a double seater lounge for relaxing and a generous sized private ensuite with complimentary toiletries. 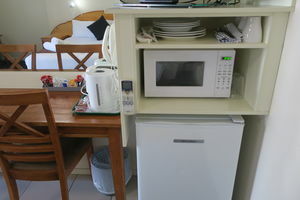 There is a new 39 inch TV with free cable channels, microwave, toaster, tea and coffee making facilities and refrigerator. 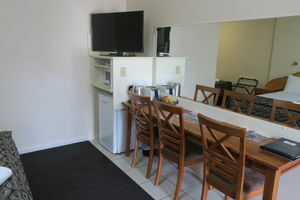 There is a large benchtop for eating meals or finishing off some after hours work.